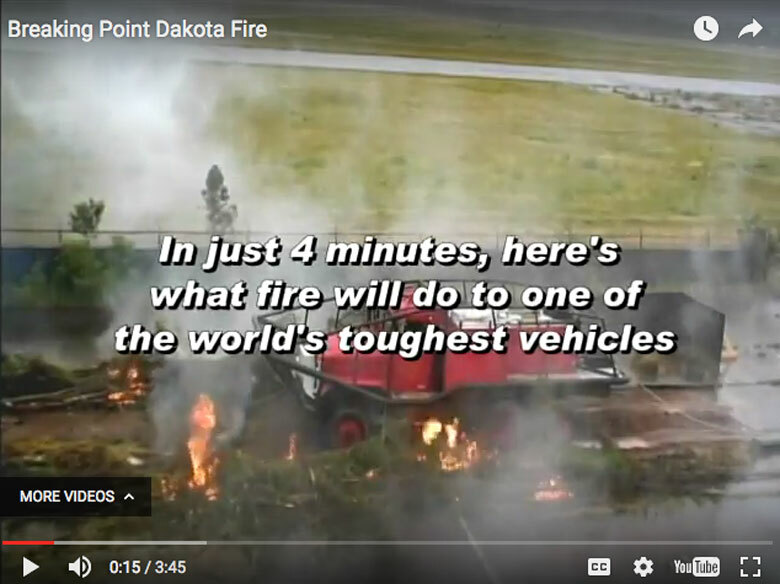 Using a primitive gel delivery system that he modified, veteran volunteer firefighter Gorden Sabo saved his home and 14 others in the Battle Creek Wildfire of 2002. The backpack system he created at first was cumbersome and difficult to use. 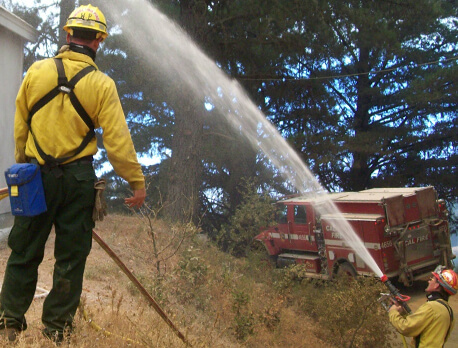 However, he was driven to build better firefighting equipment. 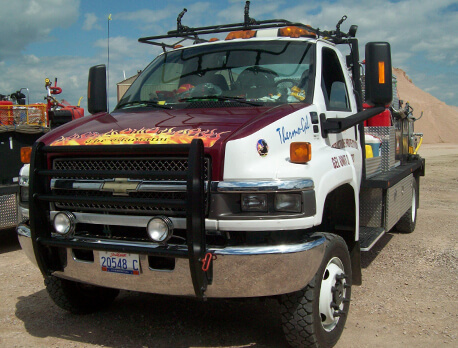 Four years later, the world’s first pressurized gel delivery truck was ready for action. 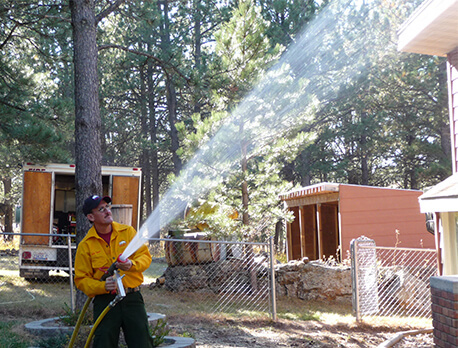 That summer, Gorden used his invention in four states to save 100 homes in 8 different wildfires. 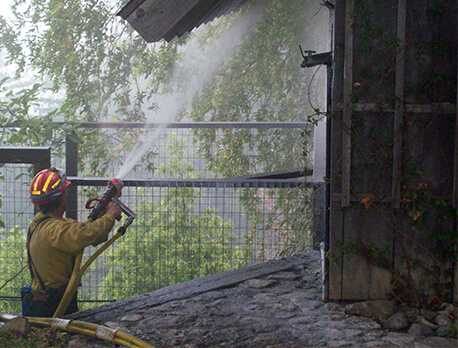 Another 50 homes were saved in 2007. 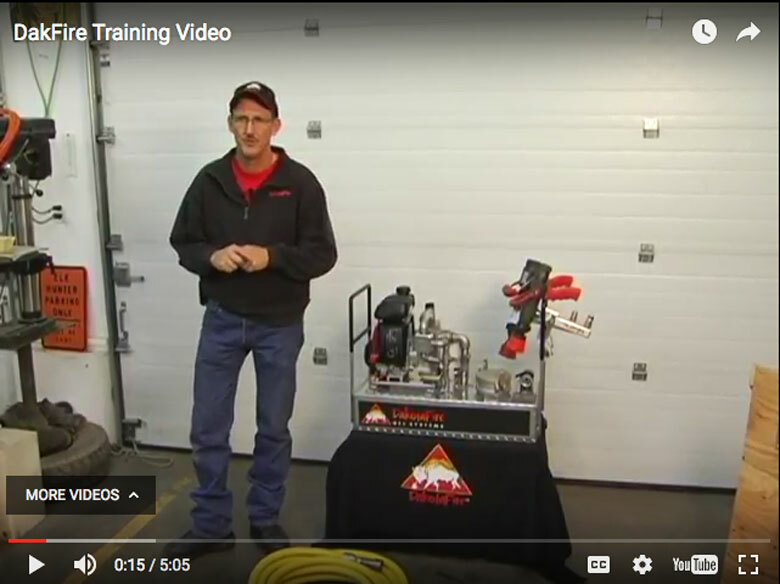 Because Gorden’s two trucks couldn't be everywhere they were needed, he founded DakotaFire Systems™ in 2007 so that his proven fire suppression system would be available to firefighters everywhere. When delivered correctly, gel is the best fire retardant available. 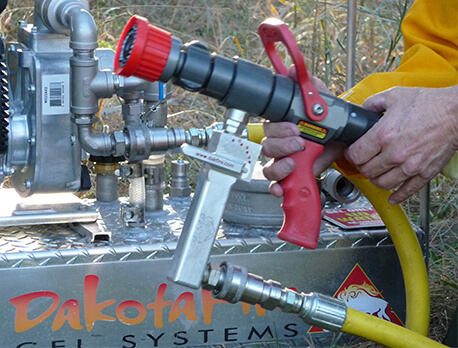 DakotaFire Systems™ is the first to provide uniform and consistent coverage of flame retardant gel, even under extreme conditions. 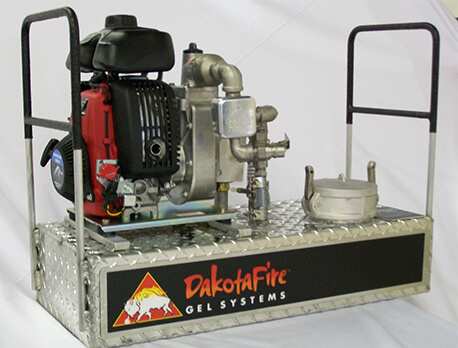 The pressurized gel delivery is the leader among firefighting and fire suppression systems. Gel consists of about 97% water. The gel’s highly absorbent polymers hold the water, and the water does the work. 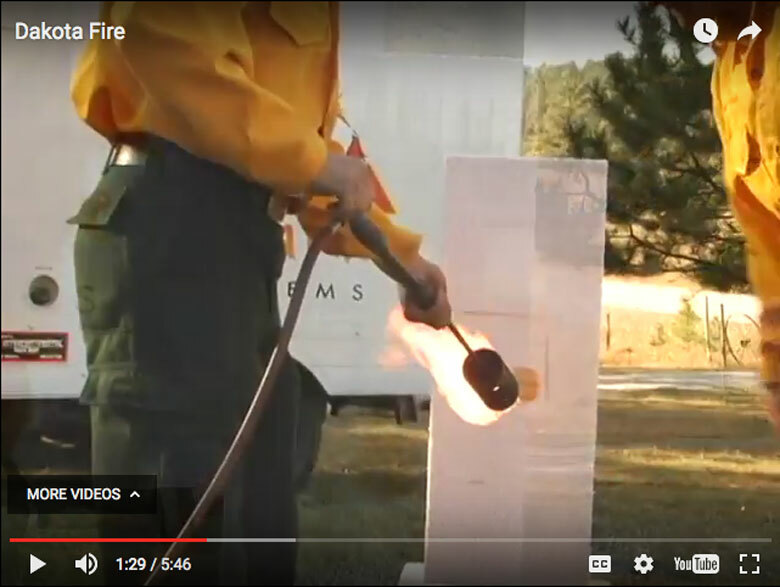 Gel can withstand an intense passing fire front and repel radiant heat for several hours. 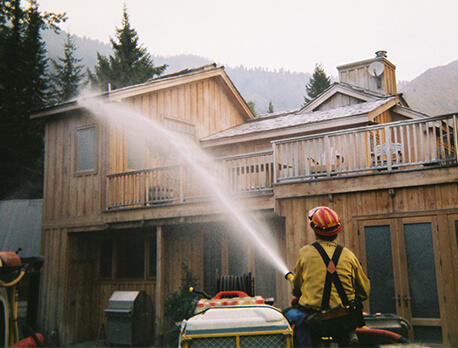 The average home can be treated in 15 minutes, providing several hours of initial protection. The same application can be reactivated with a light misting of plain water, thus extending the protection for days. 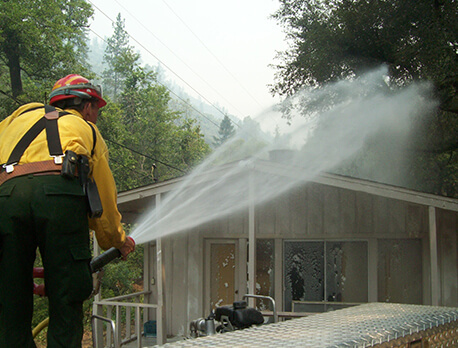 After fire danger has passed, gel can be easily removed from structures with water. High-pressure equipment is not necessary. 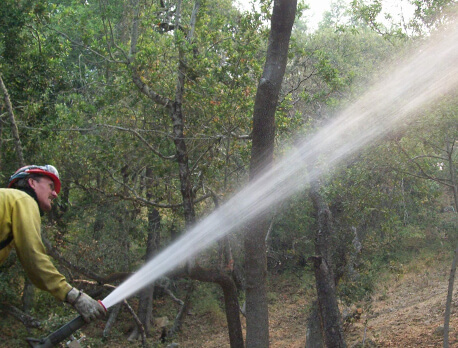 Gel is effective for both FIRE SUPPRESSION and PROTECTION. 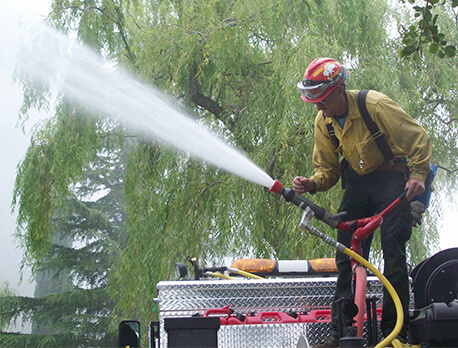 In a fire suppression system test, gel reduced the extinguishment time by 60% and used 55% less water than the foam. In a protection test against foam, three plastic bales were used in a laboratory environment. One remained untreated, one was treated with foam and the third was treated with gel. The bales were ignited and allowed to burn for 40 minutes. At the end of the test, the untreated bale and the bale treated with the foam were completely destroyed. The bale treated with gel remained unharmed. 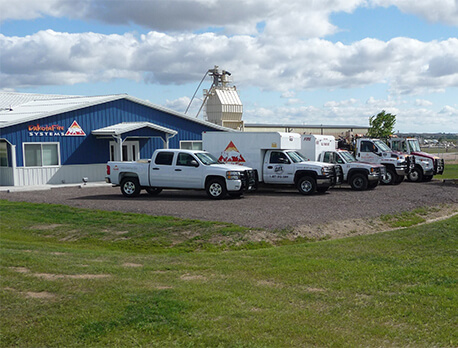 Additionally, the peak temperatures of the untreated and foam bales reached in excess of 1,400 degrees Fahrenheit, while the gel treated bale reached only 100 degrees Fahrenheit.